Travel abroad on holiday or for medical treatment has long ceased to be a luxury. Summer, whether it is family vacation or a trip to a ski resort, and maybe the child alone goes to rest to relatives or to summer camp - the mass of options. And in each case there are some nuances of sending underage family member for the frontiers of the Motherland. Birth certificate, passport of the child, permission to travel from one or both parents and notarized translation, additional documents. Mandatory put on the birth certificate. It may be required even in the case of a minor their own passport. Always put a the original document, and just in case make a copy of it. The birth certificate must be accompanied by a liner, proof of citizenship of the Russian Federation. Will definitely need a passport. This can be a personal document of the child or the passport of one of parents where the child is registered and pasted a picture of him. Pay attention to the fact that in the case of independent travel abroad, for example, as part of a tour group or on vacation in a foreign summer camp, the child will need his personal document. Take care of the design of the passport in advance. In the case of visiting countries of the Schengen agreement in the passport of the child shall bear the visa permitting entry into the country. Find out in advance if they will need the consent of the other parent to travel outside the country and entry into another state. Here you should pay attention to several points. If the minor is traveling visa-free country with one parent, then often the consent of the other parent is not required. To visa-free countries include Turkey, Egypt, Dominican Republic, Maldives, Vietnam, Israel, Cyprus and others. When a child travels with one parent in any of the Schengen countries, for example in Spain, Italy, Greece, Croatia or France, in this case you will need a notarized consent of a parent to the child's entry into the country. In addition, many of the border service may require a certified translation of this agreement into the language of their country. Check the list of required permissions, in the Consulate of the country where you are planning to go. The child can travel accompanied by other relatives or strangers. This option requires a permit to export and the importation of minors from both parents. When travelling with a close family member may need a power of attorney for that member of the family with whom the child is going. Please note the list of additional documents that may request the border guard service. In the absence of the child's other parent may need the death certificate or the decision on deprivation of its parental rights. Often it happens so that the location of the other parent is unknown. Under this option, should submit to the search of a missing relative, and if within three months the police will not be installed, where it resides, then in court it will be possible to recognize the missing what is issued the corresponding certificate. The child can be different names with the legal representative. For example, the mother is not married with the father of the child or married to another man. In this case, you should bring all confirming the kinship documents. This can be a certificate of dissolution of marriage with the father of the child, new marriage certificate from the registry office about the change of name, etc. Children 14 years and older must have their own passport! 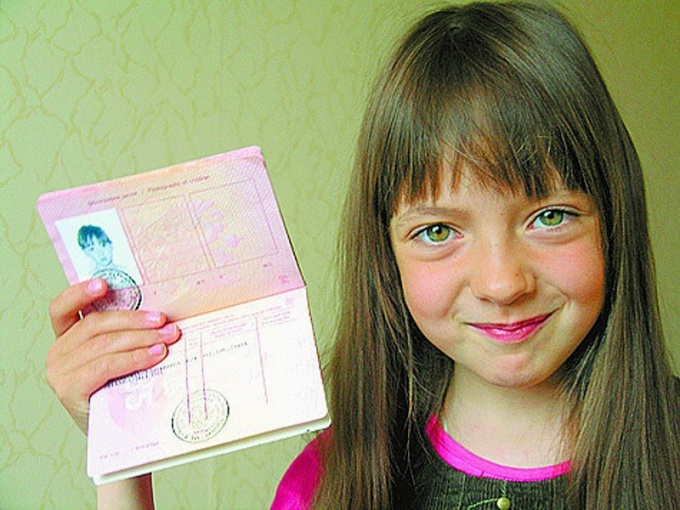 Pay attention to the expiration of the foreign passport of the child. If it is impossible to obtain the consent of a minor from the other parent try in a judicial proceeding to obtain such a permit.